After several months of alarming revelations about problems with Georgia’s voting machines, online registration, ballot counting, Election Day lines, and more, the state’s voters will get to decide Tuesday how elections should be conducted in the future. 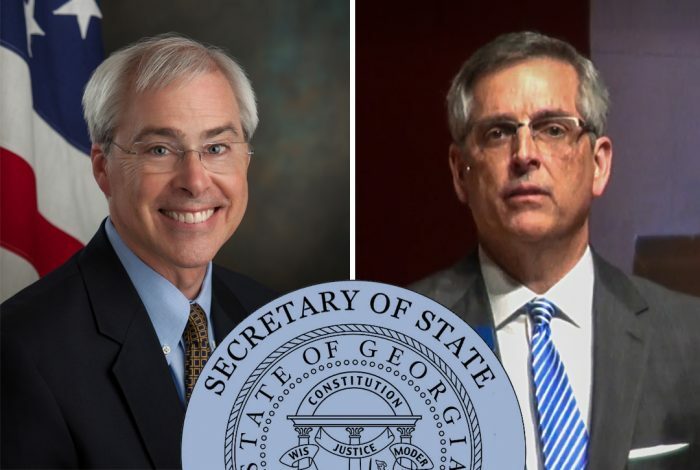 The runoff between Democrat John Barrow and Republican Brad Raffensperger for secretary of state is also, according to election-integrity and voting-rights experts, a contest between a candidate who is open to new solutions and one who is simply offering more of the same. Academics, activists, and the former independent candidate for Georgia’s top elections office all offered detailed assessments to WhoWhatWhy on the steps needed for the state to run fair and transparent elections. These include guaranteeing that the results can be audited if necessary, and ensuring that every eligible voter gets the chance to cast a ballot, regardless of race, ethnicity, or party. All analysts pointed to Barrow as the one more likely to take action on such changes. 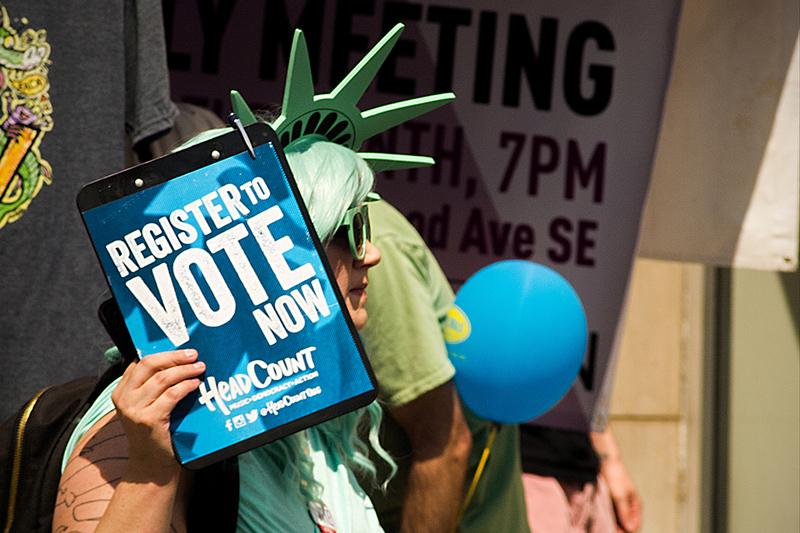 Same-day registration would also reduce the need for provisional ballots, which are usually needed when poll workers can’t verify that a voter is registered. The use and misuse of provisional ballots were the subject of several lawsuits during the midterms. Meanwhile, two of the three elections-related positions on Raffensperger’s website refer to ensuring that only “legal American citizens [can] vote” — although, as reported by WhoWhatWhy, governor-elect and former Secretary of State Brian Kemp’s own data show practically no evidence of noncitizens voting. Neither candidate responded to WhoWhatWhy’s requests for an interview. Cybersecurity: How to Fix It? Barrow and Raffensperger also disagree about how to solve cybersecurity problems with Georgia’s outdated touchscreen voting machines. Georgia is one of only five states to use these machines statewide. Nine states use them in some locations. Multiple problems with the system have been exposed for several years, starting with two cyber researchers demonstrating, in 2016 and 2017, how easy it was for anyone to gain access to everything from voter information to poll-worker passwords. Then–secretary of state (and now governor-elect) Brian Kemp’s only response was to move the administration of the system from Kennesaw State University to his office, bringing the same person — Michael Barnes — over as director. Barnes has said publicly that he is not an expert in cybersecurity, and that the state made no effort to hire such an expert after the incidents. The next secretary of state should remedy this, according to Duval and DeMillo. “It’s unconscionable to run a tech-based enterprise like that with so little expertise in maintaining the integrity of the system … [the secretary of state] should have people on staff with experience in maintaining … complex technical systems,” DeMillo said. Barrow has publicly pledged to decertify the entire voting system and push to use paper ballots filled out by hand and then scanned in future elections. “[Barrow] attends technical events where such things are discussed, and asks probing questions,” DeMillo said. Raffensperger has indicated on his website that he intends to “update all voting machines with improved paper ballot verification for ballot security.” This is different from moving to hand-marked paper ballots in at least two ways: computers would still be the main vehicle for casting a vote, and the voting machines Raffensperger is referring to actually produce ballots with barcodes — which can’t be read by voters. Whomever Georgia voters elect to secretary of state will inherit a commission Kemp formed earlier this year to “study options for Georgia’s next voting system.” Duval has attended both of the commission’s meetings to date, and notes that the group has not carried out or delegated “in-depth research” into the state’s voting system problems, and how a new system could solve those problems. “There’s no large-scale review about how they’re administering elections,” he added. Instead, by the second meeting, commission members were already talking about buying new technology. At the same time, the commission’s 18 members only include one computer expert — Wenke Lee, co-executive director of Georgia Tech’s Institute for Information Security & Privacy. “Given that Georgia is one of the nation’s centers of cybersecurity research and development, the commission has not done nearly enough to invite testimony from local experts who are readily available,” said DeMillo. “Professor Lee offered to give a cyber security tutorial to the commission, but the co-chairs permitted him only an informal lunch talk which was not open to the public, and testimony from a panel of national security experts was immediately marginalized by comments from the co-chairs, who questioned whether those experts had correct information. They haven’t consulted anyone else I know in my field,” said DeMillo. “I hope I see a change” with the new secretary of state, he added. The state legislature will likely take up the issue of what voting system to buy, and for how much, when the 2019 session begins in mid-January. “The Legislature needs to have independent, critical thinking,” Marilyn Marks, executive director of the Coalition for Good Governance, told WhoWhatWhy. “We’ll see if they’ve learned a lot in the last few years,” she added. Marks’s group, which has filed a series of lawsuits over election irregularities, advocates for hand-marked paper ballots as the cornerstone of secure voting. Neither Ed Rynders, chairman of the governmental affairs committee in the legislature, nor Barry Fleming, vice chairman, answered WhoWhatWhy’s requests for comment. The governmental affairs committee has jurisdiction over state election law. Nonprofits: Secretary of State’s Enemy? Another issue experts point to as important for a secretary of state to address is the relationship between the state’s top elections official and the groups working on election integrity and voting rights issues. The same observation holds true for poll watchers. They became a focus of contention several times in Georgia after November 6, as local elections officials in places like Gwinnett County, the state’s second-largest county, prohibited poll watchers from closely observing processes like the counting of paper absentee ballots. “I would hope that, going forward, state and local elections officials acknowledge transparency, [don’t] treat observers as intruders, and reduce the level of confrontation,” said DeMillo, who is also a certified, statewide poll watcher. Regardless of the outcome, Georgia’s new secretary of state will likely keep the state’s elections in the headlines for positive or negative reasons in the years to come — including the 2020 presidential contest.